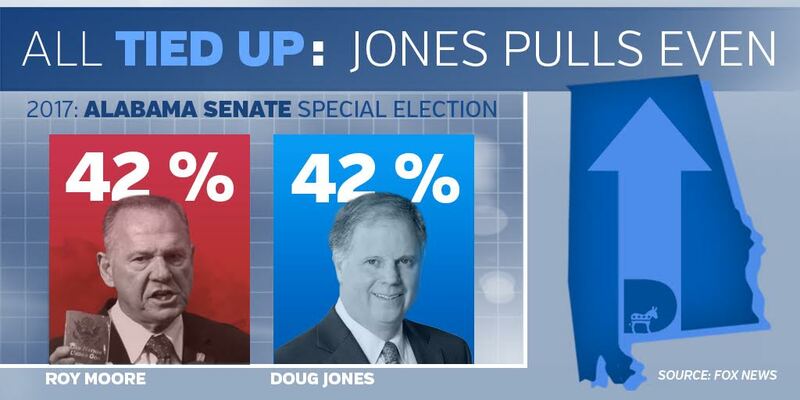 A new poll shows Alabama Democratic Senate candidate Doug Jones is now TIED with his Republican opponent! The Resistance can flip Alabama, but we need your help! The Democratic Coalition is launching a massive campaign to flip Alabama blue and help Jones win the state's upcoming special election to replace Jeff Sessions. Election day is December 12th, 2017, making this race the ONLY Senate election before 2018. So please chip in what you can! Your contribution will go directly towards our bold new campaign - including digital ads, opposition research, billboards, and campus outreach! If Democrats can win in Alabama, we can win anywhere!